Though mounted police were once a rarity, nowadays cops and cars go together like, well, like Starsky and Hutch. A lot of departments offer take-home cars, which is a huge plus, especially when you can check on and take a 10-8 right from your driveway. But even if you work for a department that uses pool cars, there's nothing like patrolling the town in your mobile office. Not to mention, of course, that cop cars are just cool; the paint schemes, the body style, the emergency equipment and, of course, the police package upgrades all make driving so much more fun. Just being honest here, a police officer's utility belt is as close to being like Batman as you can legally get. No, we don't get grappling guns and batarangs, but what we do carry are indispensable tools of the trade. High-power flashlights, electric conductive weapons (better known as Tasers), higher-capacity magazines and a well-performing sidearm, collapsible batons and, of course, handcuffs have all become part of the identity of the modern police officer. And, you have to admit, most police belts just look cool. Cops work hard and train harder. We learn to protect ourselves and others - and safely control arrestees - through rigorous defensive tactics training. It's hard work, but it's a lot of fun, and you get a great workout in the process. Besides "DT" training, we get excellent tactical and firearms training, pursuit driving, first aid and CPR, and all kinds of advanced training in a number of specialty areas. In fact, ongoing training is so important that you can pursue an entire career path as a police instructor or training officer. Police training reinforces the skills we need to do our jobs, as well as skills that hopefully we'll never need outside of the training environment. The best part, though, is that good training provides all of the fun and none of the paperwork! Much is made of the so-called "brotherhood" of the thin blue line and the notion that cops band together and protect their own, allowing for corruption, a double standard and a "rules don't apply to us" mentality. While it's not a problem to be ignored, there's another, much more positive side. 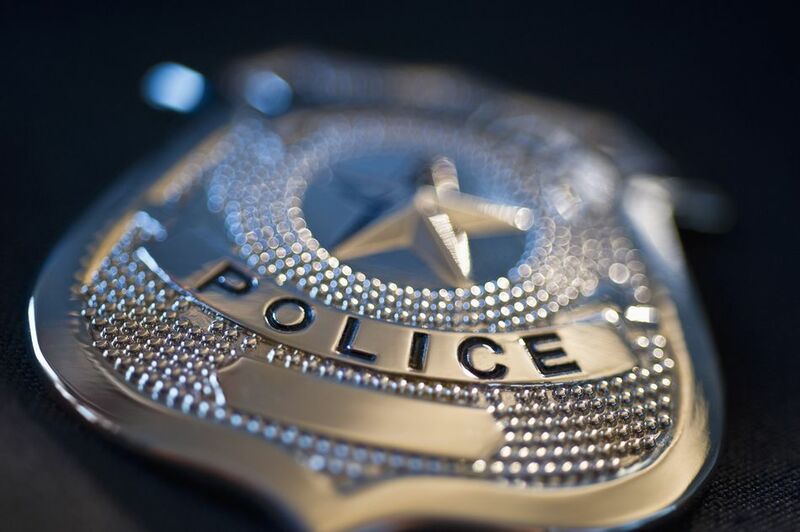 Law enforcement is undoubtedly a unique profession, and few if any outside understands what it's like to spend a day in the life of a police officer. Working as a cop offers a sense of belonging and family that you won't find in many other careers. When the chips are down, police do band together to help their fellow officers. There truly is nothing like the feeling that you've done something to make someone else's life just a little better. True, if you encounter a police officer on the job, you're probably not having a very good day. But most cops know that they can affect the outcome simply based on what they do or how they treat you. Whether it's by helping you change a tire on the side of the road, showing a little compassion and empathy on a traffic stop or at a crash scene, or helping you see that justice is done if you're a victim of a crime, officers rarely forget that most of us took the job because we wanted to help others. We don't think about it often, but the truth is, police officers save lives every day. Sometimes, it makes the news, like when a cop runs into a building to save a child, or when she puts herself in harm's way to protect the innocent or defenseless. But those are the lives saved that we know about. In fact, there are countless others we will never know about, like the person who changed their driving habits because of a traffic ticket they got, the drunk driver who was taken off the road before he could crash into another vehicle or the would-be robber that changed his mind simply because he saw a patrol car drive by. Even in the smallest things we do, police officers save lives every day, and there are few feelings as satisfying as knowing that fact. Though they're often the heroes no one wants - it's often said that everyone hates cops until they need one - the fact is police officers still enjoy a measure of respect in their community. Regardless of their rank or status in their department, among their circles of friends, church groups or other community involvements they are often looked to as leaders and examples to be followed. Not to mention the way kids look up to officers when they're around. It's a tremendous responsibility, and officers often need to be reminded of the high ethical standard they are held to, but it's also quite nice to have a job for which people have such respect and appreciation. Also, there's nothing like the way your kids look at you with pride when they see you in uniform. A lot of people want a job that matters. We all have to work, but if we're honest, most of us want that work to mean something and make a difference. The incredible responsibility that comes with being a police officer - you have a duty to act at all times, whether on or off duty - is a reward in and of itself. It means that what we do makes a difference, and that's a great feeling, even if it feels like a heavy burden at times. Don't take it the wrong way, but there's something to be said for being able to tell people to do something and have them listen. It's also nice to see a problem and be able to fix it. Obviously, there's a tremendous potential to abuse the authority police have, but when used properly and for the good of others, it's great to be able to be part of the solution rather than part of the problem. It's been said that working in law enforcement is 99% sheer boredom and 1% pure adrenaline-fueled excitement. Yes, those really exciting moments can be few and far between, but boy when they happen, they are worth the wait. I'm not saying that cops are all thrill seekers; those exciting moments are also usually some of the most frightening experiences you'll ever encounter. Rather, when those "hot" calls come in, and it's time to get to work, there are a certain clarity and calm that takes over, and the excitement that comes with it is indescribable. There is a rewarding feeling from being in a volatile situation and being able to calmly take control and bring it to a successful, uneventful conclusion. The bottom line is this: being a cop is just plain fun and rewarding. It's not just a job. It becomes part of who and what you are, and there are not many professions that can get into your blood as law enforcement seems to. It's dangerous and hard work, and it often feels underappreciated, but being a cop truly can feel like one of the best jobs out there.